Where is EMM Going Next? Enterprise Mobility Management (EMM) is currently necessary as a means to secure sensitive data on employee mobile devices. But as mobile devices themselves diversify and grow in number, EMM is forced to move forward technologically in order to keep up with the developments of these devices. This begs the question: Where is EMM going next, and what are the most prominent trends and possibilities for the future of the space? Mobile security has recently become a bigger concern as a result of cyber attacks such as malware. Because of this, operating systems (OSs) have begun to place a greater emphasis on security to allow EMM solutions to focus on mobile threat defense. Google, for example, has introduced Play Protect as a way to implement vulnerability screening of suspicious applications. Tools like this add a layer of security on both personal and work devices, which mitigates risks for organizations and employees. In addition to added security features, machine learning (ML) and artificial intelligence (AI) capabilities have become more popular. This technology facilitates the analysis of malicious behavior while original equipment manufacturers (OEMs) will make devices enterprise-ready by improving data protection practices. Independent software vendors and EMM solutions will partner together, and the solutions will leverage the knowledge of the independent software vendors. In the future, with a greater number of diverse mobile devices being used in the workforce, businesses will begin to search for unified endpoint management (UEM) solutions, if they haven’t already. UEM enables organizations to manage all of their endpoints from one centralized platform. With this technology, businesses will be able to take inventory of authorized and unauthorized devices and software. In addition to this, UEM allows for the control of secure endpoint configurations and administrative privileges. Users also expect more from their workplace mobile devices now, and for that reason, organizations are shifting to more unified solutions, such as UEM or the Internet of Things (IoT). This move away from EMM is also a result of the growing popularity of IoT. Organizations are using a larger range of endpoint devices to maintain business operations. If businesses don’t take advantage of IoT, they aren’t able to access various functions that IoT offers. 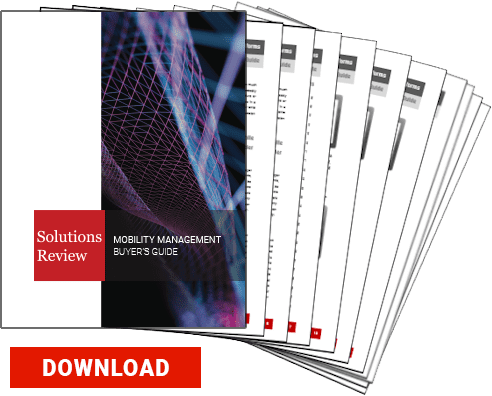 Because of this, mobility management may not be enough on its own as more developments arise. As mobile devices develop and increase in number, EMM solutions must be adapted in order to maintain relevance. Otherwise, EMM technology will potentially be absorbed into UEM or IoT solutions, or simply left behind in favor of more innovative ideas. In the coming years, it’ll be interesting to follow how all of these factors affect EMM. 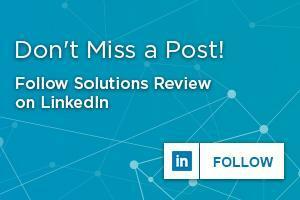 Keep checking back with Solutions Review to stay informed.